The Buses in Baseball event that took place in Denver last week was the last of 14 for the 2015 season. This summer, more than 700 underserved kids were treated to a ballgame through the program, which provides transportation, game tickets, t-shirts, food and a meet-and-greet with players. 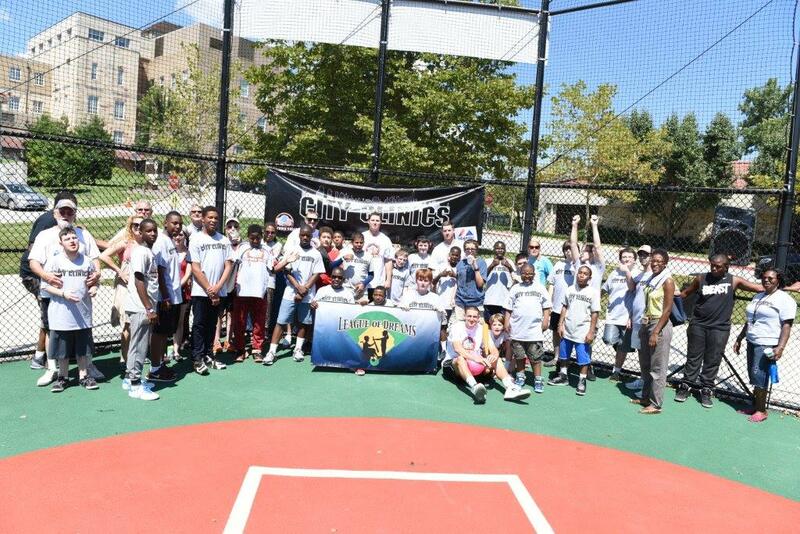 And more than 100 players were personally involved during stops in Baltimore, Dallas, Denver, Detroit, Kansas City, Los Angeles, Milwaukee, Minnesota, New York, Oakland, Phoenix, San Francisco St. Louis, and Toronto. “It allowed our youth to attend a live Major League game for the first time and meet players on the field,” said Raheim Singleton of Black Cotton Foundation, the group that participated in New York. “To have our kids going home with signed items and game-used memorabilia to show to their family friends show that the experience will have a lasting effect in their lives." Other charitable groups that benefited from Buses for Baseball in 2015 included Big Brothers Big Sisters, Starkey Hearing Foundation, Cool Kids Campaign and local Police Athletic Leagues, to name a few. It was also the second year that FOX Sports has joined the cause by providing transportation to and from the ballpark. The local FOX Sports affiliates in Arizona, Detroit, Kansas City, Southwest (Texas), North (Minnesota) and Wisconsin loaned their “Fan Express” buses so the kids from Buses for Baseball could roll into the ballpark in style. Since the program’s inception in 1996, 16,325 kids from 329 organizations have been able to experience a trip to a Major League game. 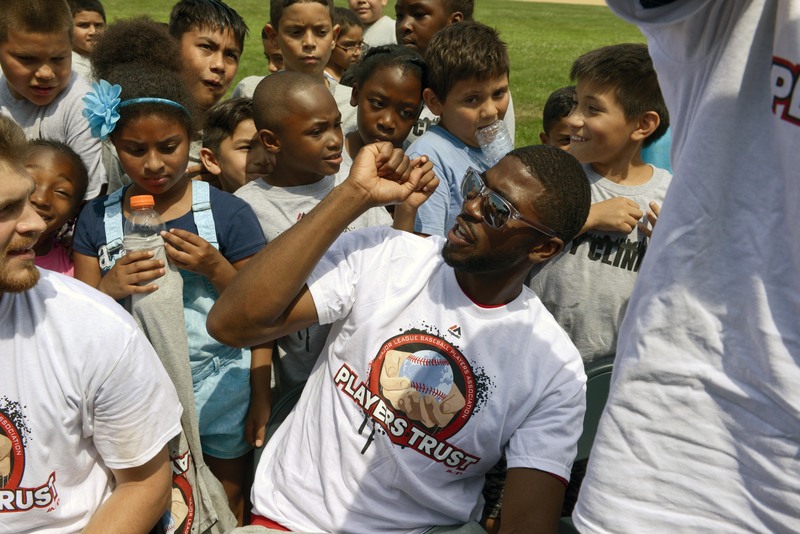 Twenty-nine different players served as the headline instructors as more than 710 kids participated in City Clinics held in New York, Boston, San Francisco, Anaheim, Chicago and Baltimore. Through their City Clinics program, the players share the game they love with youth from underserved populations across the United States. The Trust’s Action Team program, which is done in partnership with Volunteers of America, held three community events this summer, aired a new public service announcement during the All-Star Game in Cincinnati and added 11 new schools to this growing national youth volunteer program. Nationals players Aaron Barrett, Craig Stammen and Michael Taylor joined DC area high school volunteers to give a fresh coat of paint to a playground that serves an apartment complex for low-income families. This was a kickoff event for Volunteers of America’s annual Operation Backpack, as well. While a member of the Rockies, LaTroy Hawkins and 14 Action Team Captains from Jefferson Academy in Broomfield, Colo., were on hand to celebrate in Denver when 13 young people graduated from a Volunteers of America program that strives to equip homeless young people with the skills they’ll need to become self-sufficient. Through the Trust, players also participated in some of Volunteers of America’s local affiliates’ Operation Backpack program in which backpacks are filled with supplies for homeless and needy school-age kids. Chris Young of the Yankees stuffed backpacks in NYC for homeless youth and children living in shelters. Barrett, Stammen and Taylor of the Nationals assisted in the DC area kickoff event. On the West Coast, Mark Canha, Sonny Gray and Josh Reddick of the A’s posed for photos and used their social media accounts to promote the program for VOA’s Northern California Affiliate. Be sure to follow the Players Trust on Twitter (@MLBPlayersTrust) and Instagram (@MLBPlayersTrust) for more photos and info on Trust Programs.